By all accounts, Old Man Winter has already put a hurting on us without waiting for the season to actually begin. If you haven't started assembling your cold weather gear just yet, we strongly encourage you to get things together or else suffer the numbing effects of sideways sleet, six foot snow drifts and the kind of temperatures reserved for penguins and snowy owls. You've probably got the coat, the scarf, the hat, the base layers and the boots but have somehow neglected a great pair of gloves. You tend to use what you have, even if they don't work all that well. You can't exactly shovel in a pair of cheap, uninsulated work gloves, and you certainly can't get to the company Christmas party with those knitted jobbies from good old Grammy. It's time to be selective and get yourself some great gloves for the long winter ahead. We've selected ten of the best for various occasions, tasks and bank accounts. Your fingers will thank you. 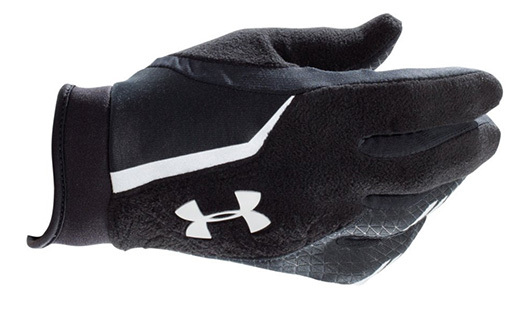 If you insist on staying active when the temps drop, you'll want to get some great hand protection on your runs. Under Armour knows a thing or two about keeping you warm in winter with their ColdGear line. Their Infrared Escape Running Gloves are thin to maintain tactility but also utilize a special thermo-conductive coating on the inside that traps body heat while still allowing moisture to escape. The palms are grippy, the fingertips are touchscreen compatible, and there's even a handy nose wiper on the back for those less than favorable moments. You grow weary of plunking down good money on mediocre leather gloves that don't keep your hands from chafing in the freezing cold. 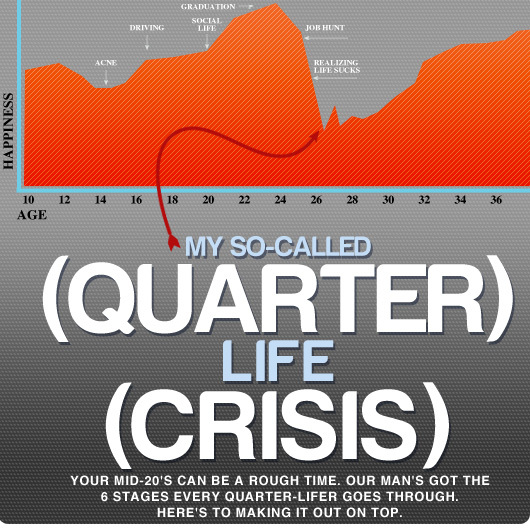 We don't blame you. For about half as much as high-end gloves, these Nappa leather gloves from ELMA are lined with warm and super-soft cashmere. 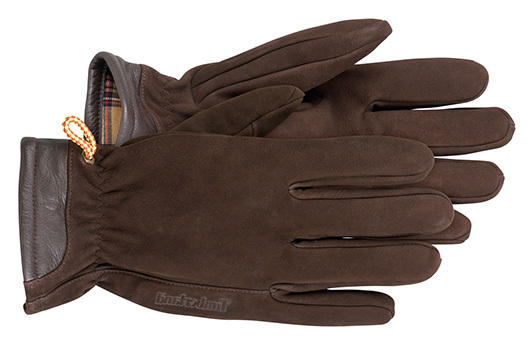 What's more, the supple leather is capped off with a snap closure strap to keep your gloves secure. Ideal with a one of your more dapper outfits or even a suit, they're not just good looking, they're finger-loving. Sometimes a little softness is all you need when the temperature drops. 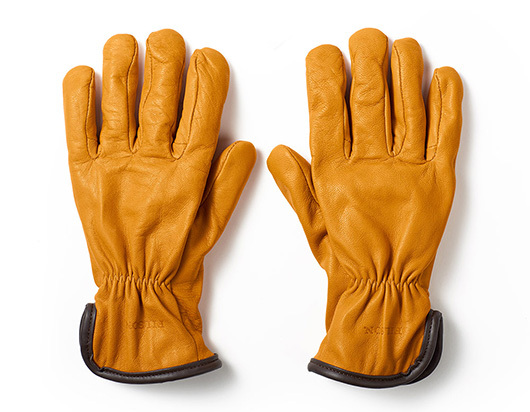 Nubuck is a great compromise between your standard leather gloves and knit versions. They're as good for everyday wear as they are for a country holiday outing. Buttery soft nubuck leather is lined with warm 100% polyester fleece for a comfort level you'd wish upon your entire body. The elastic at the wrist keeps them in place, and the lobster clasps let you keep your gloves together when they're not parked on your hands. Just because you like to hit the slopes more than your average guy doesn't mean you have to look like you're building an igloo. 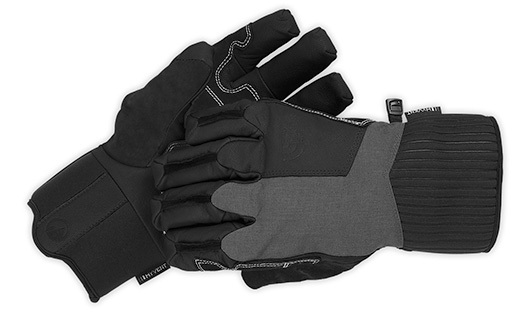 The Saiku is a short-gauntlet ski glove with a low profile that still has full protection from wind and wetness. 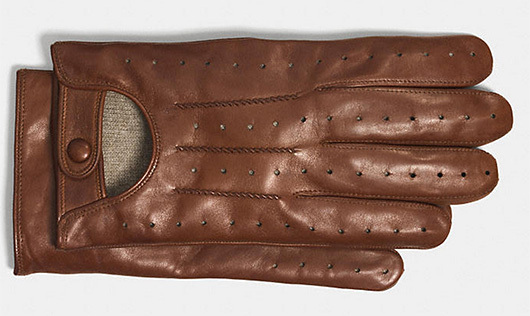 HyVent technology keeps your hands dry and warm, while the full leather palm means they won't wear out anytime soon. Work gloves shouldn't be crappy — in fact, they should be more protective than just about any other gloves you wear, considering the dangers involved. Filson's Lined Goatskin versions are tough but soft, made with resilient goatskin for good protection and lined with real Merino wool for warmth, even when things get wet. Unless you've got a heated steering wheel, you'll need to protect your hands while driving this winter. But throwing on a thick pair of gloves can be unsafe while behind the wheel, so a warm pair of dedicated driving gloves are ideal. 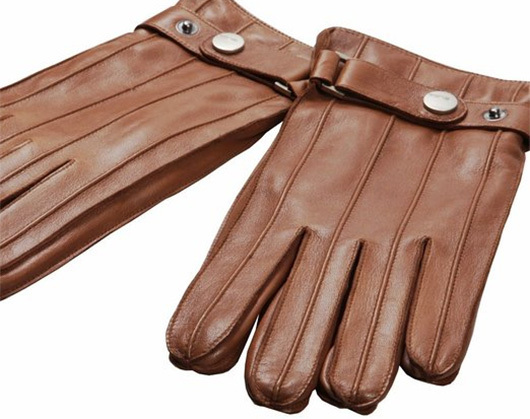 These beauties from Coach are more fitted than average gloves for better feel on the steering wheel, and the lining is cashmere for both comfort and warmth. Perforations help vent moisture when your driving becomes a tad more spirited. Though knit gloves aren't always the most practical, a good pair will keep your hands warm and comfortable if they're made from wool and come with leather palms and an insulated lining. Fox River's four layer glove is made with 85% wool with a 15% nylon outer shell, a thick deer leather palm for easy gripping and a Thinsulate insulation layer. They're even knit to be anatomically comfortable in your hands' naturally relaxed position. Best of all, they're made in America. Having a great pair of go-to casual gloves that can pull duty between cold-weather errands and a game of winter football can make life that much easier. L.L. Bean's Multisport Power Stretch gloves fit that bill more than adequately with wind and water resistant Polartec Power Stretch fabric for warmth and flexibility. They're more fitted for stay-on power and come with grippy patches on the gloves' face for driving or QB'ing that pigskin. 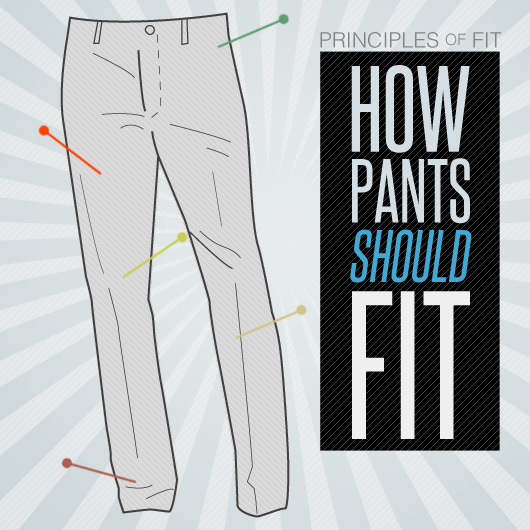 They're also breathable so your hands don't get chilled by sweat. Keep a pair of these in your car, and you'll always be ready. Good stuff. 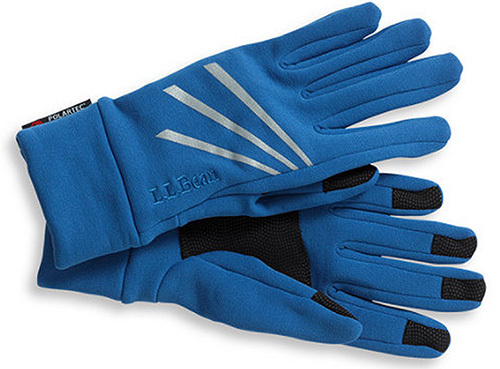 Flylow makes some very cool ski and work-style ski/outdoor gloves too at a reasonable price. I have had a pair of Blackhawk Hellstorm gloves for almost ten years. After a lot of wear, they still look new. Very warm and they keep your hands toasty. Check out the most awesome handmade premium gloves made by a small swedish family company in the third and fourth generation. They are number one!